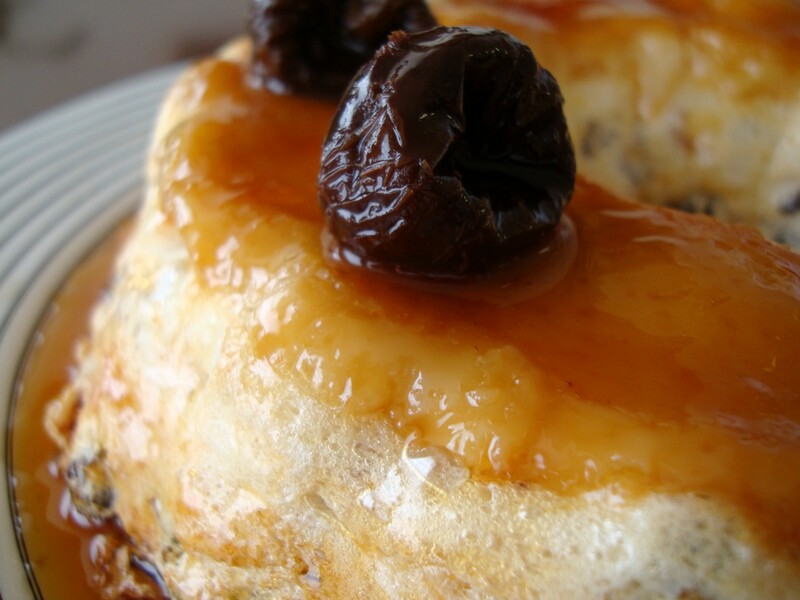 Once upon a time, Lima was the bavarois kingdom. French influence was in vogue in every aspect of our culture, from the way we spoke to the way we cooked, and people were deeply in love with this ethereal delicacy in particular. 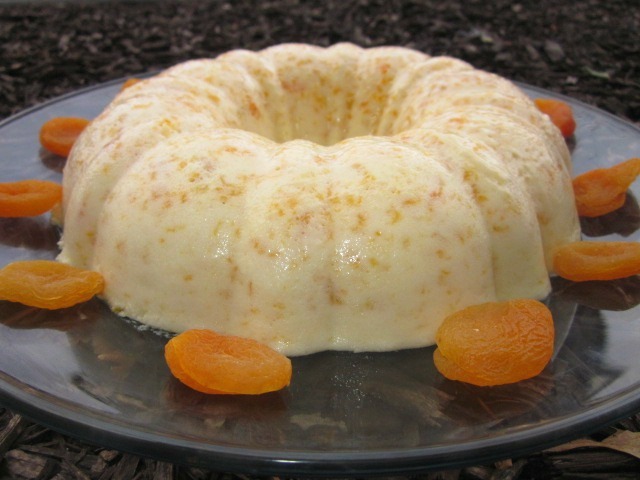 Usually made with local fruits in season (cherimoya, lucuma, peach, mango, strawberries), dried fruits (prunes, apricots), or the classics (vanilla and chocolate), the countless varieties were always served with crème anglaise or custard. 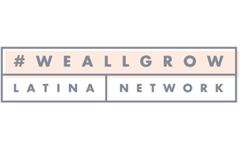 You could find it in many trendy flavors at the most chic restaurants or have a homey version in any household. I think that nobody was completely aware of the sudden dissapearence of this dessert, because we were too busy trying new sweets, creating new recipes, or updating traditional Peruvian puddings. Busy times in our kitchens, indeed. The classic bavarois was slowly relegated to a hidden corner of our past, almost completely forgotten by many. This is my homage to a dessert that made us happy for so many years, and I think deserves better! Antonella, my daughter in law, prepared this bavarois for a dinner party at home, and luckily decided to take pictures and send them to me. As I was sure would happen, it was an absolute success amongst her friends. She made a berry coulis instead of the crème anglaise, because this dessert easily adapts to one’s own variations and remains delicious. To garnish: dried apricots or fresh fruits and mint leaves. The perfect ending to a nice dinner or light lunch. 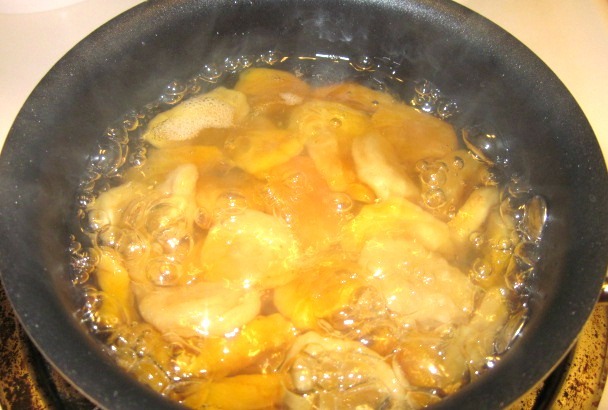 Put the apricots and water in a saucepan and bring to a boil. Cook over medium heat until they are very tender. 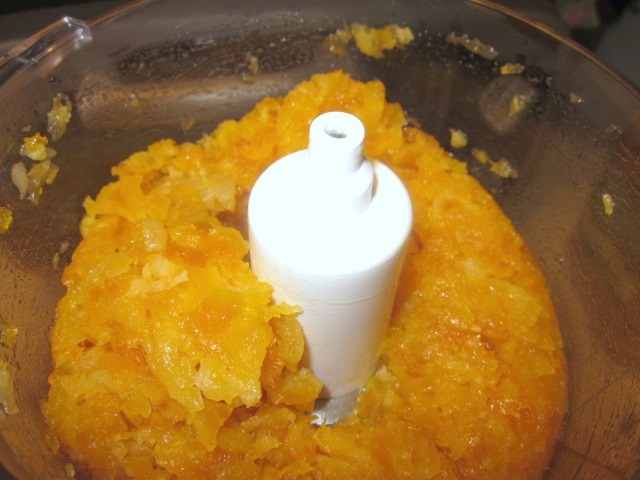 Cool and strain, reserving the cooking water, and process the apricots in the blender or food processor. Meanwhile, bloom the gelatine in 3 tablespoons cold water, then combine with the reserved water and heat over very low heat until completely dissolved. Cool. 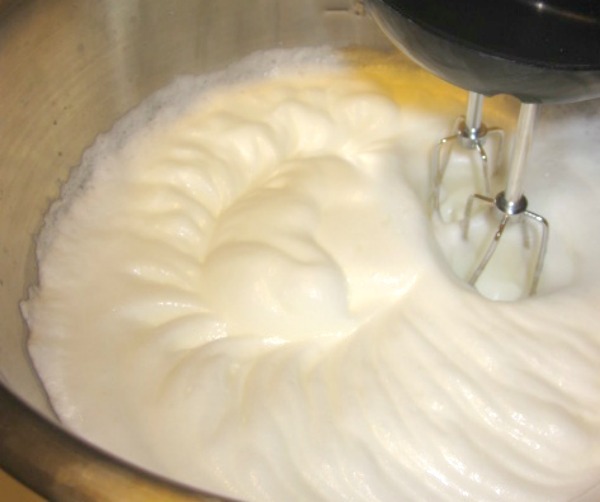 In the mixer whip egg whites, adding the sugar tablespoon by tablespoon, until firm peaks are formed. 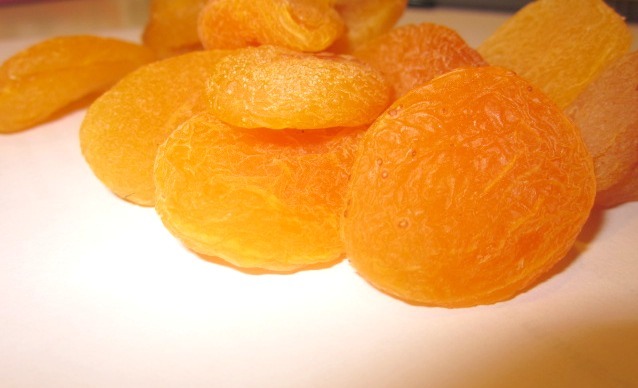 Fold the apricots and lemon juice. 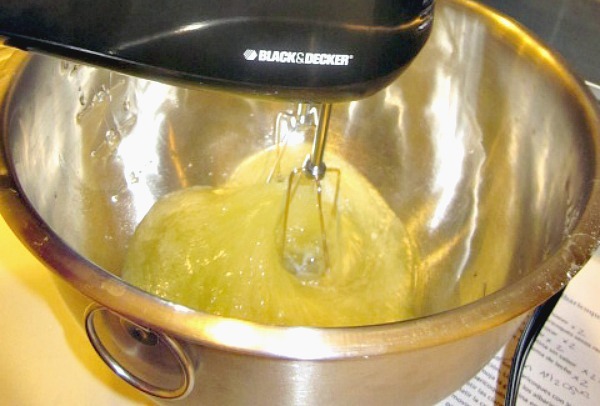 In another bowl whip heavy cream until thick and add the dissolved gelatine. 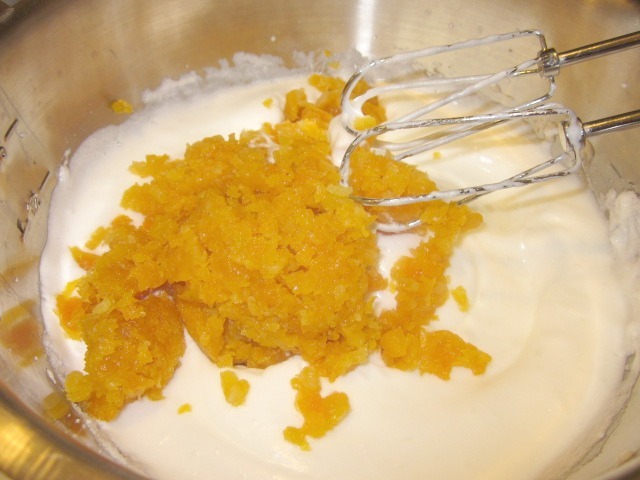 Fold into the egg whites and apricot mixture. In a heavy saucepan boil the berries with sugar over medium heat, until they are juicy and start falling apart. Strain to smooth the sauce, and put back in the saucepan. Stir the potato starch in the orange juice. Bring the berries juice to a boil, and add the orange juice, stirring constantly until slightly thickened. Cool and store in the fridge. 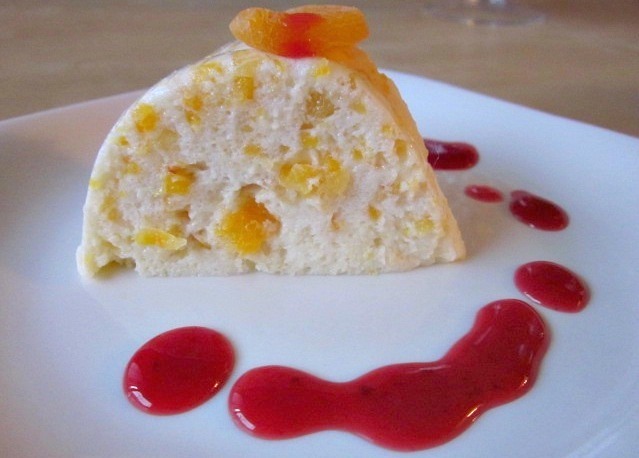 Unmold the bavarois, slice, and serve with berries coulis or custard. 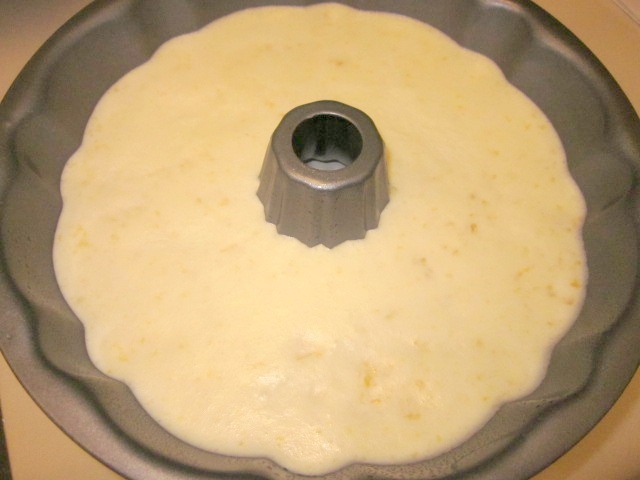 For fresh fruit, would you dice them (as with the dried fruit), or puree them into the batter? If you have fresh fruit, try to puree half of it, and dice the other half for texture.